With all the discussions surrounding smart cities, many members of the public, even policy makers are still unclear about what exactly a 'smart city' is. 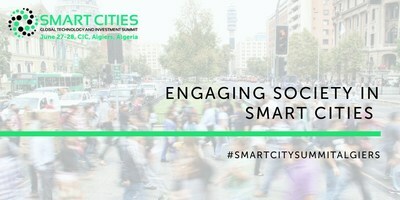 And while this is slowly changing, Governments are starting to realise that decisions on the future of cities needs to be a collaborative effort, and citizens must be involved, so they are beginning to look towards the next phase of smart city implementation and want to encourage citizens to become active participants in the movement. "A true Smart City requires collaboration on all levels. Since citizens are the primary 'users' of a city, it is of strategic importance that they can shape their own ecosystem and are part of that process," said Joachim Schonowski, Head of Innovation Smart Sustainable Cities at Telekom Innovation Laboratories. "Many service ideas are developed by the ones who actually live in a specific area and hence know challenges and demands best. Besides communication, information events or living labs are important to help people understand difficult technologies." Frans-Anton Vermast, International Smart City Ambassador for Amsterdam has a similar approach and believes that 'citizens are the end users of the city.' The Amsterdam Smart City initiatives aim to create a more sustainable and liveable environment and boost social and economic benefits that will result in more happy citizens. "Machine learning and chatbots are being used to engage citizens or assets with their environment. Cities are building business and technology policies to assess the opportunities offered by potentially disruptive technologies like AI for elderly care, autonomous driving or delivery bots. In addition, there are emerging use cases for blockchain for transactions and in record keeping." "In Europe, several of the major cities are working on similar projects including Smart Streetlights, Smart Parking, Smart Bicycle or Smart Waste. So far most of these interventions have been based on government and industry collaboration using available funding options from EU or local funding programs," said Joachim. "And the impact of these initiatives is the reduction of cost, energy reduction and reduction of fuel driven mobility. Citizens know their local communities better than anyone else; they also have more incentive to see them thrive." "What is important is that public and Governmental bodies work together on a local, continental and global level" says Joachim, "since eventually we are working towards the same vision." And the most important innovations in a city are the ones that help solve issues important for citizens, that increase the level of social engagement in city affairs and those that build trust among people to strengthen the civil society.